I once got nominated for a Grammy for the liner notes I wrote for a big G.D. box set, and a) was positive I wouldn’t win and b) thought that getting nominated was a real victory. Really. But I don’t recall ever winning an award-type award…until now. 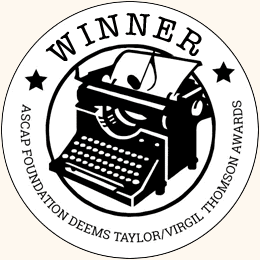 So in the music world, among the most prestigious awards that I know about is the ASCAP Deems Taylor/Virgil Thomson award. ASCAP is the American Society of Composers and Publishers – the organization for songwriters. Every year they give out around 10 or so of these to the best books (various categories), articles, websites, etc. about music. 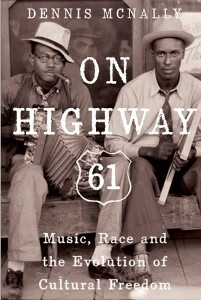 I’m really, really pleased to say that On Highway 61 is one of 2015’s winners. There will be a ceremony in New York on November 17th, and I’ll be there. And let me say that if they make me say something at the ceremony, I will share this award with three people: Charlie Winton, my editor (a first rate one), Kelly Winton, the production manager (she found the old photos, especially the cover), and Susana Millman, who shot the contemporary photos. They have a lot to do with the quality of the work. Thank you all, for real. Here’s an interview I did recently with HeadSpaceMag.com: Dennis McNally Discusses The High Times and Low of Working with The Grateful Dead. Finally, Jerry on Jerry will be out on November 24th. We’ve got several events planned to celebrate that. November 22nd, Sunday, 4-6 pm eastern, I and Trixie Garcia will be on David Gans’ and Gary Lambert’s Tales of the Golden Road show on the Grateful Dead channel on Sirius/XM. And I’ll be at the Excelsior branch of the San Francisco Public Library (the one that’s 3 blocks from Jerry’s boyhood home) on December 3rd at 7 pm.